The Buccaneers are shopping defensive tackle Gerald McCoy but aren’t receiving much trade interest, according to Michael Lombardi of The Athletic (Twitter link). McCoy didn’t show up for the first day of Buccaneers’ offseason workouts on Monday, a possible indication that he’s not involved in the club’s plans going forward. McCoy is still an effective player: in 2018, ranked fourth among defensive tackles with 21 quarterback hits in 2018 and finished as the NFL’s No. 28 interior defender, per Pro Football Focus. However, he’s now entering his age-31 campaign, hasn’t played a full 16-game season since 2013, and hasn’t graded as a top-10 interior defender since 2014. McCoy’s contract is the true barrier to a possible trade, as it’s unclear if any club would be interested in taking on his $13MM base salary for the 2019 season. He’s under contract through 2021, with cap charges north of $12MM in each of the next two years. If the Bucs trade or release McCoy, they’d clear his entire $13MM figure from their books, which is critical given the team ranks last in the NFL in available cap space (~$1.795MM). 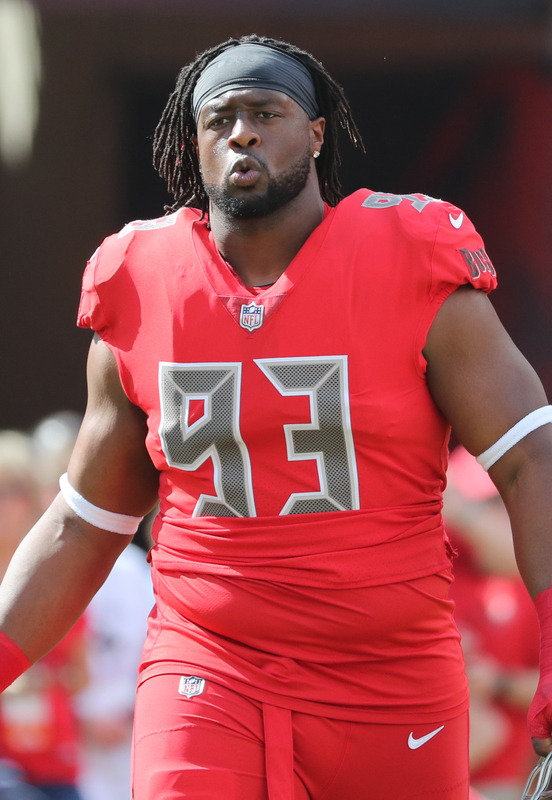 Bucs defensive tackle Gerald McCoy did not attend the first day of off-season workouts with the team on Monday, as Rick Stroud of the Tampa Bay Times tweets. These workouts are entirely voluntary, but this could be a sign that McCoy won’t be involved in the club’s plans moving forward. Earlier this offseason, it was reported that the Buccaneers planned to keep McCoy in the fold. But, recent comments from new head coach Bruce Arians cast some doubt on that front. 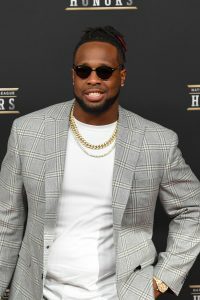 McCoy, 31, ranked fourth among defensive tackles with 21 quarterback hits in 2018 and finished as the NFL’s No. 28 interior defender, per Pro Football Focus. He’s signed through 2021, but Tampa Bay won’t incur any dead money if they cut him. Meanwhile, they’d save $13MM against the cap by shedding his contract. McCoy still has something in the tank, but he might not be an ideal fit for the team given his salary and the club’s move to a 3-4 scheme. While previous reports have indicated the Buccaneers plan to retain Gerald McCoy, the veteran defensive tackle may actually not be safe, especially given head coach Bruce Arians‘ most recent comments to Rick Stroud of the Tampa Bay Times. “He’s not as disruptive as he was four years ago,” Arians said. “But he’s still pretty disruptive. He’s still a good player….I got to evaluate him. I mean, guys at a certain age, it’s different. Usually, the age they get paid the most and production (doesn’t) match. We’ve got to find that out.” McCoy, 31, ranked fourth among defensive tackles with 21 quarterback hits in 2018 and finished as the NFL’s No. 28 interior defender, per Pro Football Focus. He’s signed through 2021, but Tampa Bay won’t incur any dead money by releasing McCoy (and would save $13MM against the cap). The Buccaneers had interest in edge rusher Brandon Copeland before he re-signed with the Jets, Jenna Laine of ESPN.com tweets. Tampa Bay ranked 28th in the NFL with 31 sacks a season ago, so the club can certainly use some extra help in getting pressure. However, the Bucs have already signed Shaquil Barrett to a one-year deal, so Copeland could have been viewed as redundant. Copeland. who also drew interest from New England, Washington, and Detroit, only landed one year and $1.25MM from New York, so Tampa Bay could have probably outbid Gang Green if it had serious interest. Franchise-tagged defensive tackle Grady Jarrett will be a “Falcon for life,” team owner Arthur Blank told D. Orlando Ledbetter of the Atlanta Journal Constitution. Atlanta will control Jarrett through at least the 2019 campaign after franchising him, but that will come at a heavy cost: $15.209MM, a figure that makes Jarrett the NFL’s sixth-highest-paid interior defender. Jarrett, who has started 44 games over the past three years, will likely target an average annual value closer to Fletcher Cox‘s $17.1MM and a full guarantee package in excess of $50MM. Atlanta currently has less than $5MM in available cap space; an extension for Jarrett would lower his 2019 cap charge and increase the Falcons’ available funds. The Buccaneers say they’re looking for a new head coach, but not looking for a new starting quarterback. “Jameis Winston will be here. 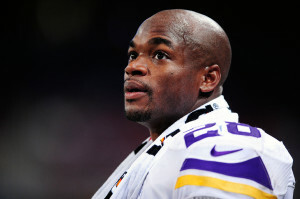 We have him under contract for a year,” GM Jason Licht said (via Rick Stroud of the Tampa Bay Times). “He has done some amazing things for a young 24, turns 25 in a week, quarterback. He’s accomplished more than most of the elite quarterbacks have at his age throughout that time span. There’s a lot to like about Jameis. Jameis will be here next year.” The Bucs picked up the fifth year option on Winston’s contract, which should keep him in place for another season at a rate of $20.92MM. Of course, the option is guaranteed for injury only, so the Buccaneers could theoretically get out of the deal. Licht cannot guarantee that defensive tackle Gerald McCoy will be back with the team in 2019 (Twitter link via Stroud). “We have a lot of tough decisions to make,” Licht said. Thanks to the seven-year, $95.2MM contract extension he signed with the Bucs in 2014, McCoy is slated to be back with the team in 2019 at a $13MM cap number. However, it is a non-guaranteed deal. Despite Tampa Bay’s problems on defense and McCoy’s injury trouble, he still turned in a decent year for the Bucs. McCoy graded out as the No. 27 ranked defensive tackle in the NFL, per Pro Football Focus. Licht says the Buccaneers will not consider in-house candidates for the head coaching job, as Greg Auman of the Tampa Bay Times tweets. That automatically rules out offensive coordinator Todd Monken, who may be up for the Jets job. Sunday’s snow game in Buffalo may end up costing Colts kicker Adam Vinatieri a significant amount of money, as Mike Wells of ESPN.com writes. Vinatieri has a clause in his contract that calls for him to earn a $500K bonus for converting 90% of his field goal attempts this season. After missing two field goals in a near blizzard against the Bills, Vinatieri’s field goal percentage now sits at just 88%, down from 95.6% entering Week 15. As Wells details, Vinatieri will need to hit at least five-of-five attempts during Indianapolis’ remaining three games in order to hit 90% again and reach his incentive threshold. Vinatieri, 44, is earning $2.75MM in base salary this year, and will become a free agent next spring. Titans quarterback Marcus Mariota is still dealing with hamstring, leg, and ankle issues and could require surgery following the season, a source tells Paul Kuharsky of PaulKuharsky.com. Mariota, who missed the tail end of the 2016 campaign after breaking his fibula, suffered a hamstring injury earlier this year, and the combination of those leg ailments are now affecting the Tennessee signal-caller. His recent performance is evidence of the problem, as Mariota hasn’t topped 200 yards passing in any of the Titans’ last three contests (while throwing for only two touchdowns against four interceptions). Tennessee still looks like a solid bet for a postseason berth — 81% per FiveThirtyEight — but the club could be held back by a hampered Mariota. 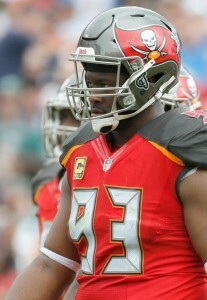 Although he initially feared he suffered a torn biceps in Week 14, Buccaneers defensive tackle Gerald McCoy wants to play out the rest of the season, reports Greg Auman of the Tampa Bay Times. McCoy has torn his biceps two other times during his NFL career, but he believes he’ll be able to play through the pain this time around. The Buccaneers are evidently willing to let him do so in what has become a lost campaign, as the club made a transaction on Tuesday without putting McCoy on injured reserve. Despite Tampa Bay’s problems on defense, McCoy has been as stout as ever, as he grades as the league’s No. 5 interior defender, per Pro Football Focus. Defensive end Alex Okafor would like to re-sign with the Saints following a 2017 season that was shortened by injury, as he explains to Josh Katzenstein of NOLA.com. Okafor, 26, inked one of the better one-year deals of the season, a $2MM pact that will allow him to hit free agency again in 2018. Before going down with a torn Achilles, Okafor had more than lived up to his contract, excelling against the run while also managing 4.5 sacks. He’d been a key contributor as New Orleans’ defense surprisingly improved from its awful 2016 standing. The Colts should use their three remaining games to assess their young talent, argues Wells in a separate column. Now sitting with a 3-10 record, Indianapolis clearly isn’t in the playoff hunt, so the club can begin to see what kind of talent resides on the back end of its roster. One player who could conceivably see more time down the stretch is running back Marlon Mack, especially given that 34-year-old Frank Gore is coming off a 36-carry effort in Buffalo (and will now play on a short week). Buccaneers’ Gerald McCoy Done For Year? It is believed that Buccaneers defensive tackle Gerald McCoy has torn his biceps, sources tell Ian Rapoport of NFL.com (Twitter link). The injury would almost certainly end McCoy’s 2017 season. In theory, one can play through a minor biceps tear without undergoing surgery. But, even if McCoy opts against surgery here, there’s little incentive for him to return to action between now and the end of the year. After Sunday’s loss to the Lions, the injury-riddled Bucs are 4-9 with zero hope of reaching the playoffs. McCoy has been here twice before, suffering biceps tears in 2010 and 2011. Since then, McCoy has been largely healthy and exceptionally productive. He earned five straight Pro Bowl nods from 2012 through 2016 and also made First-Team All-Pro in 2013. Recovering from a biceps tear can be dreadful, but McCoy has proven that he can bounce back just fine. Thanks to the seven-year, $95.2MM contract extension he signed with the Bucs in 2014, McCoy is slated to be back with the team in 2018 at a $12.75MM cap number. 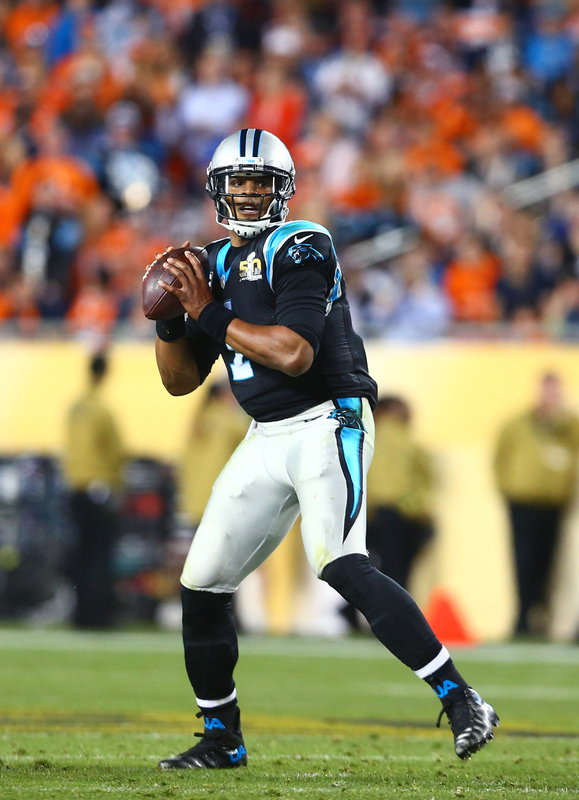 Cam Newton, quarterback (Panthers): $13MM base salary for 2016 is now fully guaranteed. Friday is also the deadline for the Panthers to pick up Newton’s 2020 option for $10MM. Eli Manning, quarterback (Giants): $17.5MM base salary for 2016 is now fully guaranteed. Jay Cutler, quarterback (Bears): $16MM base salary for 2016 is now fully guaranteed. Adrian Peterson, running back (Vikings): $7MM base salary for 2016 is now fully guaranteed. Julio Jones, wide receiver (Falcons): $11.5MM base salary for 2017 is now fully guaranteed. A.J. Green, wide receiver (Bengals): $6MM roster bonus is payable. Brandon Marshall, wide receiver (Jets): $9.5MM base salary for 2016 is now fully guaranteed. Mike Iupati, guard (Cardinals): $6.75MM base salary for 2016 is now fully guaranteed, as is $2MM of Iupati’s $8MM base salary for 2017. Rodney Hudson, center (Raiders): $7.35MM base salary for 2016 is now fully guaranteed. Gerald McCoy, defensive tackle (Buccaneers): $13.25MM base salary for 2017 is now fully guaranteed. Marcell Dareus, defensive tackle (Bills): $9.75MM base salary for 2017 is now fully guaranteed. Justin Houston, linebacker (Chiefs): $14.75MM of Houston’s $14.9MM base salary in 2016 is now fully guaranteed, as is $6.75MM of his $16.35MM base salary for 2017. DeAndre Levy, linebacker (Lions): $5.25MM base salary for 2016 is now fully guaranteed. Aqib Talib, cornerback (Broncos): $8.5MM base salary for 2016 is now fully guaranteed.